Cut & Polished Loose Diamonds are our specialty. We offer a Loose Diamonds selection for rings, bracelets, pendants & other Loose Diamonds jewellery. 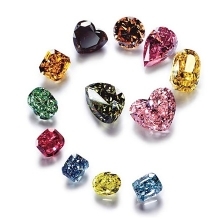 Throughout human history, Loose Diamonds have been valued for beauty & sparkle, yet people had no idea of range & varieties in which Loose Diamonds are found. When buying Loose Diamonds, there is a world of fascinating facts to uncover about cut and polished Loose Diamonds. Cut Loose Diamonds come in standard shapes, most popular are round, cushion, emerald & oval forms. Radiant, asscher & triangle Loose Diamonds are popular in men's jewelry as cufflinks, whilst heart Loose Diamonds have romantic appeal. Loose Diamonds are a base for every diamond jewellery collection. Selection of quality Loose Diamonds is the keystone for pre-set diamond jewelry and for a self made diamond jewellery. Don't wait for another chance to get those perfect Loose Diamonds set to your personal liking on a diamond jewellery of your selection ...Contact us to know more.